How to Install SFP transceiver Correctly? SFP (small form factor pluggable) transceiver is now ubiquitous in Gigabit Ethernet networks. It serves as a hot-pluggable I/O devices that being inserted into module sockets to create 1 Gigabit transmission. SFP transceiver is generally used for applications both in telecommunication and data communication, which can be intermixed with 1000BASE-T, 1000BASE-SX, 1000BASE-LX/LH, 1000BASE-ZX and 1000BASE-BX10-D/U on a port-by-port basis. Fail to install SFP transceiver can cause catastrophic damage to the module and network, hence it is better to grasp some knowledge on the right installation procedures. Here are some precautions you should be aware of before delivering installation. Make sure to disconnect all the cables before installing the SFP transceiver, in case any damage that may be caused to cables, connectors and the optical interfaces. Try not to install and remove the SFP transceiver too often since this may shorten its life expectancy. Transceiver modules are rather sensitive to static, it is suggested to use an ESD wrist strap or comparable grounding device during the process of installation and removal. Never remove the dust plug from the SFP transceiver unless you are ready to put it into use. Similarly, the dust plug on the SFP transceiver is used to protect the optical bore and shall not be removed until you attaching patch cable to it. Wrist strap or other personal grounding device to prevent ESD occurrence. Antistatic mat or antistatic foam to set the transceiver on. Fiber-optic end-face cleaning tools and inspection equipment. SFP Transceiver Installation: How to Make it Right? SFP transceiver primarily have three types of latching devices to secure itself in a port socket: a mylar tab latch, a bale-clasp latch and an actuator button latch. With the bale-clasp latch to be the most widely used one. You should be clear which type of latch your SFP transceiver have before install it. Bear the aforementioned precaution in mind, then perform the following steps to complete installing SFP transceiver. Step 1. Attach an ESD-preventive wrist strap to your wrist and to the ESD ground connector or a bare metal surface on your chassis. Step 2. Remove the SFP transceiver module from its protective packaging. Note: Do not remove the optical bore dust plugs until directed to do so later in the procesure. Step 3. Check the label on the SFP body to verify that you have the correct model for your network. Step 4. Find the send (TX) and receive (RX) markings that identify the top side of the SFP transceiver. Note: On some SFP transceivers, the TX and RX marking might be replaced by arrowheads that point from the SFP transceiver connector (transmit direction or TX) and toward the connector (receive direction or RX). Step 5. Position the SFP transceiver in front of the socket opening. Note: different devices may have various SFP module socket configurations, either a latch-up or a latch-down orientation. Ensure that you are installing the SFP transceiver in the correct orientation for your device. Refer to the hardware installation instructions that came with your device for mire details. For transceiver with a mylar/pull tab. For transceivers with a bale-clasp latch. For transceivers with an actuator latch. Step 6. Insert the SFP transceiver into the socket until you feel the SFP module connector snap into place in the socket. Always keep the protective dust plug on the unplugged fiber-optic cable connectors and the transceiver optical bores until you are ready to make a connection. Always inspect and clean the LC connector end-faces just before you make any connections. Always grasp the LC connector housing to plug or unplug a fiber-optic cable. Step 7. 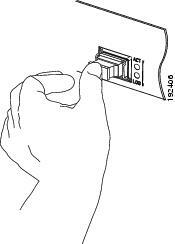 Press the SFP into the slot firmly with your thumb. You must press firmly on both the transceiver face-plate and the actuator button to ensure that the transceiver is properly latched in the socket. Step 8. To verify that the SFP is seated and latched properly. Grasp the SFP and try to remove it without releasing the latch. If the SFP can not be removed, it is installed and seated properly. 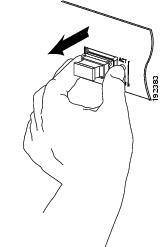 If the it can be removed, reinsert it and press harder with your thumb, repeating if necessary until it is latched securely into the socket. Step 9. Remove the dust plugs from the LC fiber patch cable and save the dust plugs for future use. Then inspect and clean the patch cable end-face. Step 10. Remove the dust plugs from the SFP transceiver optical bores. And immediately attach the LC fiber patch cable to the SFP transceiver. To install a SFP transceiver is a commonplace in data center, yet not as easy as it appears. There are much to consider before you actually perform the action. And you have to get fully prepared with a thorough plan. Hope this step-by-step guide would be informative enough to practice right SFP transceiver installation. 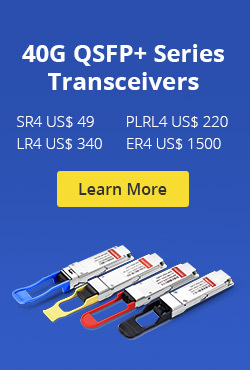 FS provides a whole line of optical transceiver products, including SFP, SFP+, QSFP+ and QSFP28 transceiver modules, as well as CWDM and DWDM transceivers. For more details, please visit www.fs.com. This entry was posted in Optical Transceiver Solution and tagged 1000BASE-LX/LH SFP, 1000BASE-SX SFP, 1000BASE-T SFP, 1000BASE-ZX SFP, optical transceiver, SFP Transceiver on August 15, 2015 by Admin. There are two basic types of fiber: multimode fiber and single-mode fiber. Multimode fiber will allow each signal to travel on more than one pathway at one time, which is best designed for short transmission distances, and is suited for use in LAN systems and video surveillance. 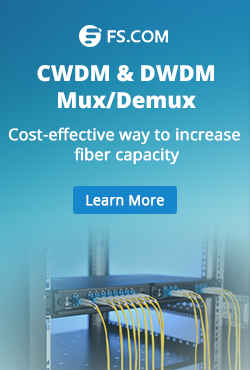 Single-mode fiber is best designed for longer transmission distances, which is used in applications that need bandwidth that will travel over long distances. Some chips will only use full-duplex configuration. Selecting switches, HUBs, or transceivers with half-duplex mode may cause loss and conflict. Only choose full-duplex unless you think that your application can support half-duplex. Nowadays, Ethernet interfaces on the switch operate at 10, 100, or 1000 Mbps, or 10,000 Mbps and in either full- or half-duplex mode. Some vendors may just need to reduce costs and loss. Thus, they have to choose an optical transceiver with maximum safety features and loss prevention. Optical transceivers shouldn’t run hot. Optical transceivers may fail prematurely at high temperatures. That is why it’s important to know how well an optical transceivers can adapt to heat if it will be in high temperatures. Take an example of Gigabit Ethernet SFP module, 1000BASE-T (e.g. GLC-T) SFP module operates on standard Category 5 wiring and has a RJ-45 connector. 1000BASE-SX SFP transceiver operates on ordinary multi-mode fiber optic link spans of up to 550 m in length. 1000BASE-LX/LH SFP operates on single-mode fiber (SMF) for a maximum length of 10km. 1000BASE-ZX SFP using an extended wavelength operates on single-mode optical fiber for up to 100km. There are some basic types of internal construction, but you have to choose the one that will work best for your application. One of the most popular types is the distribution or tight pack. The second type of construction is the breakout or fanout design. This design gives each buffered fiber its own individual jacket and is a more durable design. The zip cord or assembly is another type of internal construction that is offered to the designers. This is one of the preferred internal construction options. In this construction, one or two buffered fibers in individual jackets should be considered. Single fiber cable is recommended for patching. The last factor you should consider is the level of flame resistance. Remember that there are three different grades available: general, special, and high. The level of flame resistance can be measured through a variety of tests including those determining smoke density values and flame propagation. Choosing the right fiber transceiver type is not easy. There are lots of elements to be considered. These are typically considered on a case-by-case basis. Consider all of the factors mentioned such as the internal construction, fiber mode, fiber cable jackets, and the level of flame resistance. FS.COM is a professional OEM manufacturer and supplier of optical networking solutions, which can supply 100% compatible Cisco SFP and SFP+ transceivers, such as GLC-SX-MM, GLC-SX-MMD, GLC-T, GLC-LH-SMD and GLC-FE-100LX, etc. According to your requirements, FS.COM welcomes any inquiry for customized optical transceiver type. 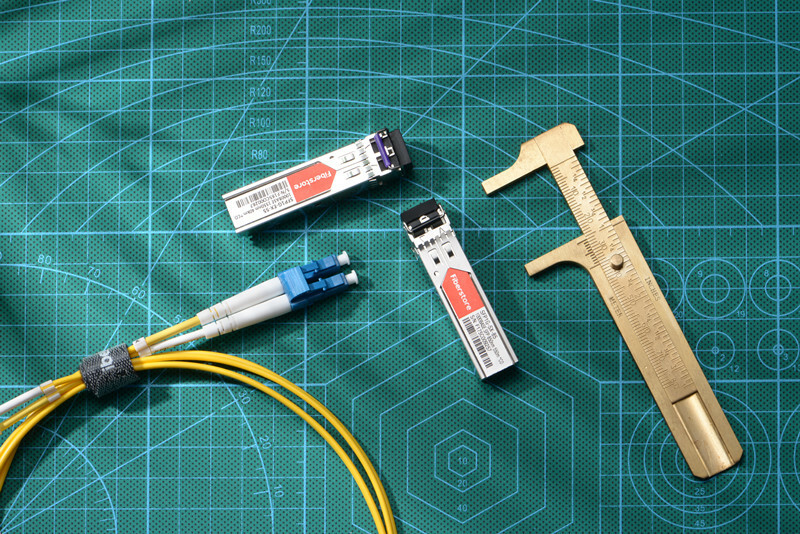 Related Articles: How to Select the Right Fiber Patch Cable for 40G QSFP+ Transceiver? What Is An Optical Module? This entry was posted in How To, Optical Transceiver Solution and tagged fiber transceiver type, optical transceiver, SFP Transceiver on April 1, 2015 by Admin. Nowadays, there is a variety optical transceiver modules on the market and some of them may be the refurbished modules. Driven by the huge economic profit, some unscrupulous manufacturers mislead customers to use the refurbished module or inferior optical transceiver module on their switches, servers, base station equipment or storage devices. What’s worse, they have even faked the famous brand optical transceiver modules. The shoddy refurbished module illegally entered the markets may result in heavy losses to us. This article is explaining how to identify the refurbished module, and buy a high-quality optical transceiver module. In general, the sources of refurbished module include the following two ways. Some transceiver modules have been used for certain years, and they will be eliminated due to the update of equipment or damaged due to improper use. The unscrupulous manufacturers recycle these old or damaged transceiver and refurbish them, these refurbished modules generally have serious impact on the service life. Some unqualified transceiver modules can not pass the on line tests and ready to destroy. These unqualified transceivers are used by the unscrupulous manufactures to fake the high-quality transceivers. However, the parameters of these transceivers are not standard. It will have a great impact on the stability of data transmission, and even have serious damages on the equipment. Appearance recognition. Check the appearance of the transceiver modules: new module’s appearance generally has good consistency while the refurbished module is not glossy, and have some wear and scratches in the rim angle. Many refurbished transceivers are replaced with a new shell, in this case, we can see the interface of the modules, if there is dust and not smooth, it is the refurbished modules. Check the ferrule. Pulled out of the dust cap, we can see the ferrule in the bore. In general, the multimode transceiver has plastic ferrules or metal ferrules while the singlemode transceiver has the metal ferrule. A second-hand old module is lack of glossy, and generally rough and with scratch that has a bad consistency. The ferrules of a new quality module is brightness of color and lustre and has a good consistency. Put the modules working under the status of 50-60 °C and see if it is working properly. In generally, a refurbished module can not work well or even disconnect. No matter there are how many tips or methods on how to identify, the best way to avoid buying refurbished module is to choose a quality vendor. The reason why many users have bought the refurbished module is the attractive low price of them. As we know, the costs for transceiver modules keep adding up over time. In order to save more, a low cost option of the transceiver is the expectation of the users. How and where to find a quality vendor? FS.COM is your best choice. FS.COM provides a full set of compatible fiber optic transceiver module solution cover all the famous brands, such as Cisco, HP, Finisar and so on, which can satisfy you with a full range of services. In addition, we can also offer the custom service for your special requirements. SFP Transceivers (eg. 1000BASE-SX, 1000BASE-LX/LH, 1000BASE-ZX, 1000BASE-T), SFP+ transceivers (eg. 10GBASE-LR, 10GBASE-SR), QSFP+ & CFP Transceivers, XFP transceivers, 10G X2 & XENPAK and GBIC. Get more information can visit fs.com. What’s Your Opinion Of Using 3rd Party SFP Modules On Cisco Catalyst Switch? This entry was posted in Optical Transceiver Solution and tagged optical transceiver, refurbished module, SFP transceivers on January 14, 2015 by Admin. 10G optical transceiver is designed for 10G or 10Gbit/s data transmission applications including 10 Gigabit Ethernet, 10 Gbit/s Fiber Channel, Synchronous optical networking. After years of 10 Gigabit Ethernet’s existence, there has been various different form factors and optics types introduced. Nowadays, 10G optical transceivers series mainly includes 10G XENPAK optical transceivers, 10G X2, 10G XFP and 10G SFP. 10G XENPAK optical transceiver was the very first MSA for 10GE coupled with been the biggest form factor. X2 was later competing standards with smaller form factors. XFP came after X2 and it is also smaller. SFP offer a smaller form factor and also the ability to offer 1G/10G combo ports on hardware. This is a guide to these module types and optical standards currently available. 10G XENPAK optical transceiver is 10G optical transceiver. It supports all optical ports as defined in IEEE 802.3ae, supporting speed 10.3 Gb/s,9.95 Gb/s or 3.125 Gb/s. XENPAK modules designed XAUI interface and knowledge shaping (CDR) function, which comply with the XENPAK MSA protocol and satisfy the application of 802.3ae Ethernet protocol 10GB. The 10G XENPAK optical transceivers include XENPAK 10GBASE-SR 300 meters (multimode OM3 fiber), XENPAK 10GBASE-LRM multimode fiber 220 meters, XENPAK 10GBASE-LR single-mode fiber 10-20km, XENPAK 10GBASE-ER single-mode fiber 40 km, XENPAK 10GBASE-ZR single-mode fiber 80km. X2 defines a smaller form-factor 10 Gb/s pluggable fiber optic transceiver optimized for 802.3ae Ethernet,ANSI/ITUT OC192/STM- 64 SONET/SDH interfaces,ITUT G.709,OIF OC192 VSR,INCITS/ANSI 10GFC (10 Gigabit Fibre Channel) and other 10 Gigabit applications.X2 is initially centered on optical links to 10 kilometers and is ideally suited for Ethernet, Fibre Channel and telecom switches and standard PCI (peripheral component interconnect) based server and storage connections. X2 is physically smaller than XENPAK optical transceiver but maintains the mature electrical I/O specification based on the XENPAK MSA and continues to provide robust thermal performance and electromagnetic shielding. The 10GB X2 fiber optic transceivers series include X2-10GB-SR, X2-10GB-LR, X2-10GB-ER and X2-10GB-ZR, they are designed based on the X2 MSA and IEEE802.3ae. They’re created for the integrated systems solution provide, fiber optics distributor along with other IT distributors. XFP is really a standard for transceivers for high-speed computer network and telecommunication links which use optical fiber. They sometimes operate at near-infrared wavelengths (colors) of 850 nm, 1310 nm or 1550 nm. Principal applications include 10 Gigabit Ethernet, 10 Gbit/s Fibre Channel, synchronous optical networking (SONET) at OC-192 rates, synchronous optical networking STM-64, 10 Gbit/s Optical Transport Network (OTN) OTU-2, and parallel optics links. They can operate over a single wavelength or use dense wavelength-division multiplexing techniques. They include digital diagnostics that provide management which were added to the SFF-8472 standard. XFP modules make use of an LC fiber connector type to achieve high density. The 10G XFP optical transceivers series include XFP-10G-MM-SR, XFP-10GLR-OC192SR, XFP-10GER-OC192IR and XFP-10GZR-OC192LR. 10G SFP+ optical transceivers are multi-purpose optical modules for 10Gbit/s data transmission applications at 850nm, 1310nm and 1550nm. The transceivers are ideally suited for datacom and storage space network (SAN/NAS) applications based on the IEEE 802.3ae and Fibre Channel standards, Fiber Channel 10G, 8.5G, 4.25G, 2.125G, 1.0625G, 10G BASE-SW/SR/LR/ER, 1000Base-SX Ethernet. 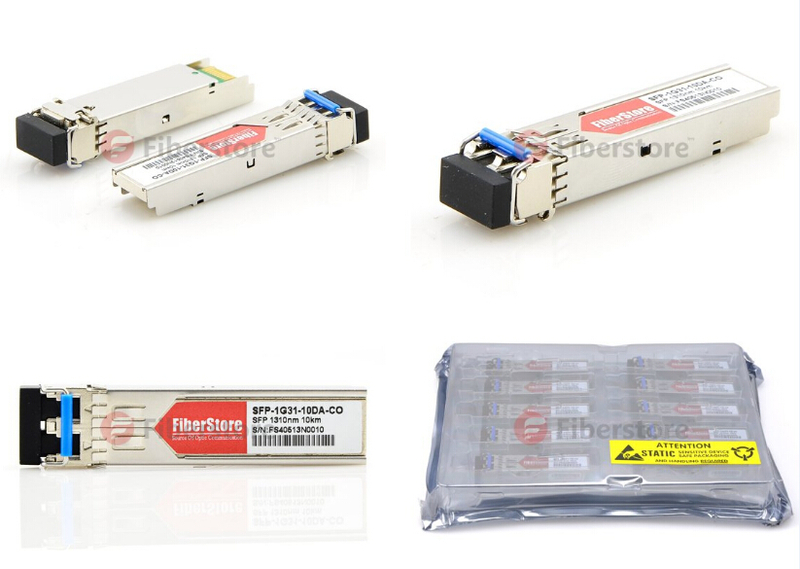 The 10G SFP fiber optic transceivers series include SFP-10G-SR, SFP-10G-LRM, SFP-10G-LR, SFP-10G-ER, SFP-10G-ZR, SFP-10G-LW, SFP-10G-LH, SFP-10G-LX and SFP-10G-ZW. This entry was posted in Optical Transceiver Solution and tagged 10G SFP+, 10G X2, 10G XENPAK, 10G XFP, optical transceiver on June 18, 2013 by Admin.